FLUSHING — The Genesee District Library (GDL) has named Cristen Jackson as the new Flushing Area librarian. Prior to this position Jackson was the librarian at the Genesee Valley Center Library. She also worked as a Library Assistant at ITT Technical Institute in Flint. According to Jackson, one challenge that libraries face today is trying to keep up with the changing needs of the community, whether they are cultural, societal, or related to technology. “We can’t just meet the needs of those members who look and think like us,” she said. “We need to make sure that we meet the needs of the community as a whole. 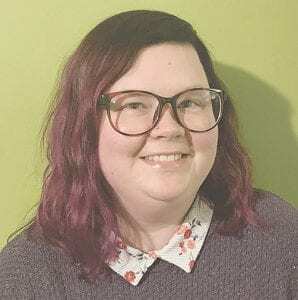 Jackson served on the Michigan Library Association 2018 Annual Conference Work Group and is currently the vice chair of the 2019 Thumbs Up! Award Work Group, which recognizes and promotes an outstanding contribution to teen literature. She will be the chair of the 2020 Thumbs Up! Work Group. Jackson holds a bachelor’s degree in English Literature from Saginaw Valley State University, a master’s degree in Library and Information Science from Wayne State University, and is currently working on a Paralegal associate’s degree from Eastern Gateway Community College.